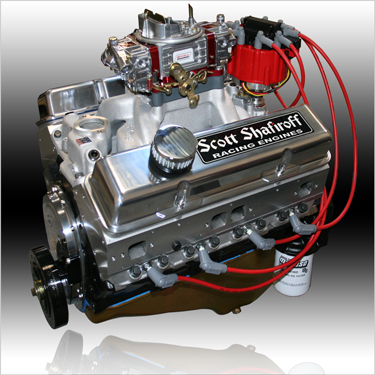 This 402 "Real Street" Smallblock Has A Stronger Shortblock That Will Really Take A Beating! Beefier Components Means That It Will Work Well With Up To A 200HP Nitrous Kit ... Now You Can Have Your Cake And Eat It! You Asked For It And We Listened! We Struck A Deal With AFR To Get Some Of The Hottest Cylinder Heads On The Market And When Combined With Our Special "Proprietary Grind" Hot Hydraulic Roller Cam, "Ultra Hi-Rev" Hydraulic Roller Lifters and 1.6 Ratio Pro Magnum Rockers, The Power Is Up Over 40HP!